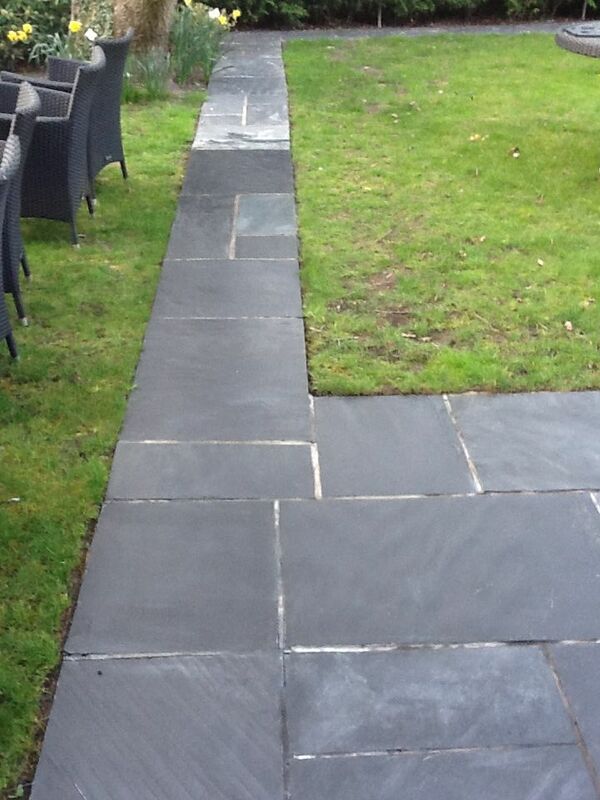 Photographs below of a Slate Patio we recently restored. The customer had another company come in to clean and seal them but they used the wrong product and it turned white and the sealer went patchy. 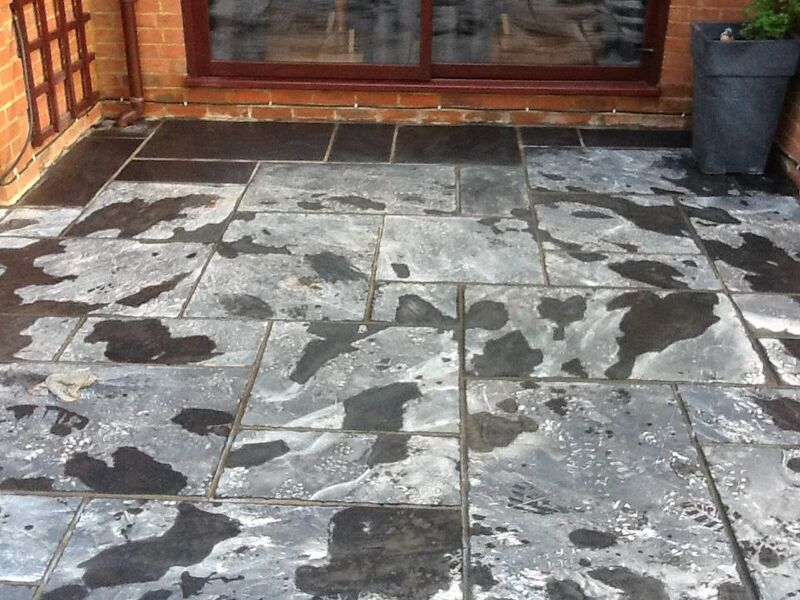 We stripped of all old sealer using Tile Doctor Remove and Go which is a great multi-purpose product that will remove most sealers and coatings. 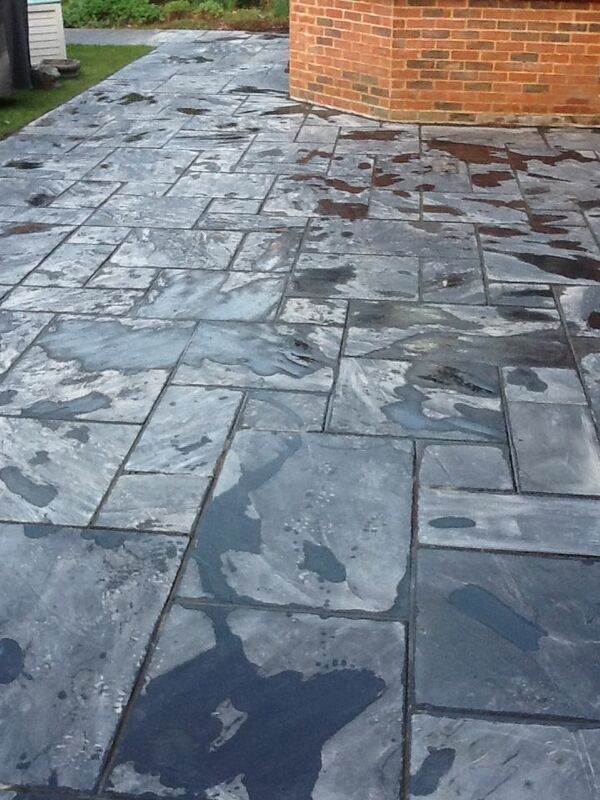 After a thorough rinse and wash down with water the was resealed using Colour Grow which not being water based is ideal for external applications and ideal for bringing out the natural beauty in slate. 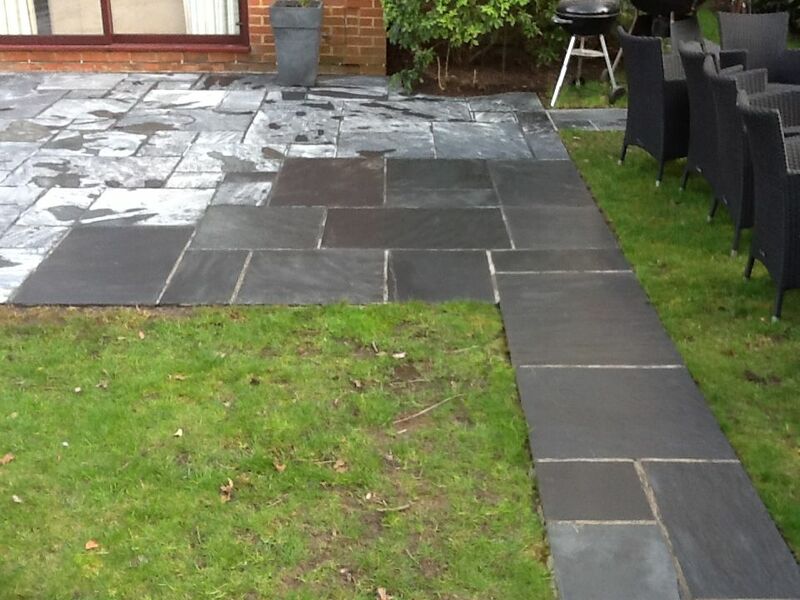 The customer was so pleased with the work he is inviting back every 6 months to maintain it. 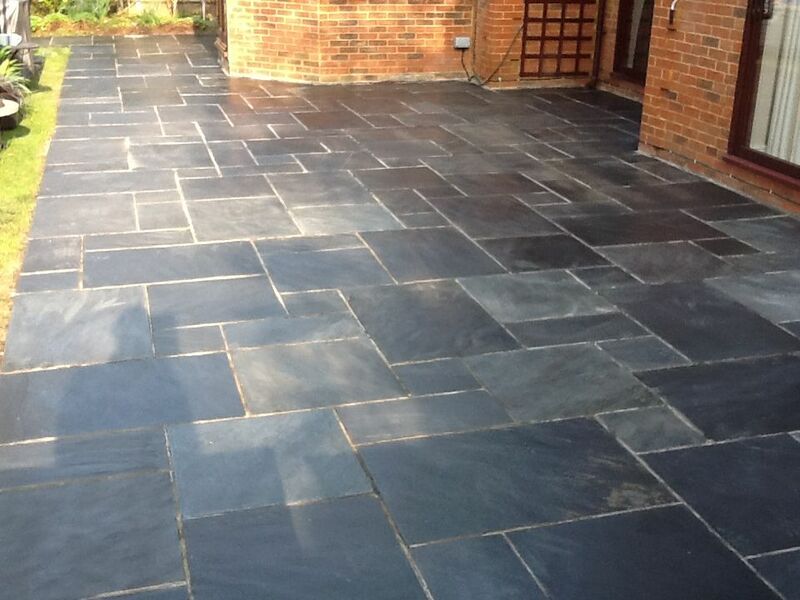 Tile Doctor don’t just specialise in Cleaning Slate we can also restore Ceramic, Granite, Limestone, Marble, Porcelain, Quarry, Sandstone, Terracotta and Victorian Tiles. 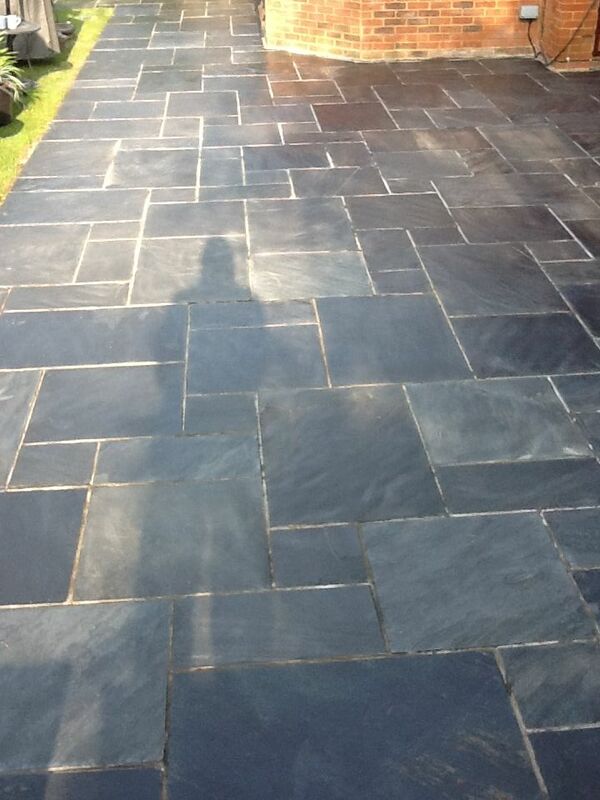 This entry was posted in Work History and tagged Floor, Patio, Paving, sealing, Slate, west surrey by Wayne White. Bookmark the permalink.